Once the darling of Web 2.0 enthusiasts the world around, social news aggregation site Digg fell from grace over the past three years. The final death rattle of the Digg we once knew sounded last month, when tech development firm Betaworks purchased the site for a price much lower than the $160 million dollar valuation the company once heralded. Betaworks’ plan: Rebuild Digg “as a start-up: Low budget, small team, fast cycles.” That included a complete redesign, which launched earlier this month, in hopes that a fresh start will give the site a new lease on Web life. Though noble in its aim, Betaworks’ first efforts may have crippled the new Digg before it has a chance to leave the starting line. 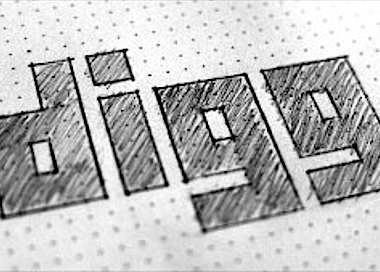 In order to remedy many of the costly issues that the former Digg team suffered, Betaworks shuttled a number of features once prominent in Digg’s past iterations; the commenting system has been nuked completely, and all of the past articles and activities shared by past users have been wiped clean from the site. The upside is, we’re left with a clean design and some nifty new sharing features that sync between mobile and desktop devices. The larger issue at hand, however, is that Digg’s existing user base — however dwindling and meager it was — is left with no virtual footprint on the site whatever. 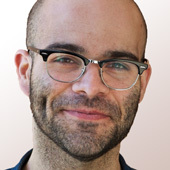 Profile history, submissions, comments — all gone from the new Digg. Philosophically, this cuts to the heart of what a social, community-based sharing site needs in order to thrive. Digg is essentially only as successful as the volume and quality of content that is shared by its users; users who want to talk with each other about the items they’ve submitted, to riff on and build off of each new link in the network. This concept of community building has been crucial to competitor sites like Reddit — which is currently flourishing, trafficwise, with more than two billion pageviews served in the month of December 20122011 alone — which still retains all of the items that the new Digg now lacks. 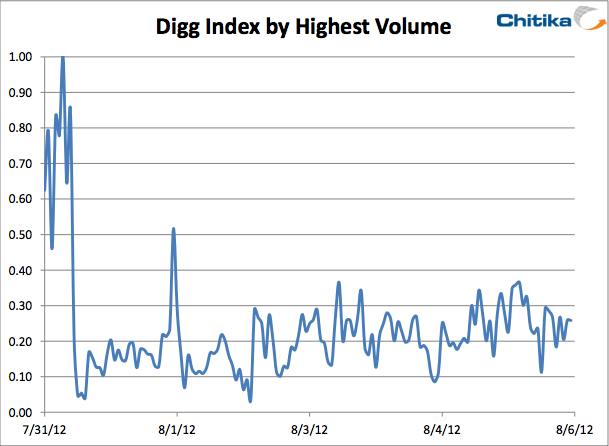 As you can see, Digg’s brief spike came in the wee hours between July 31 and Aug. 1, then went on to plummet and not return for the remainder of the week. That’s rough, especially in the early days of a highly publicized redesign, when Digg should be getting the initial traffic that it needs to foster the growth of its shattered community. Problem is, how compelling is it to open what essentially amounts to a museum of old data from a network that truly doesn’t exist anymore? Sure, it’s nice to have access to what I did when I was an active user, but if that information has no bearing on the new site, it becomes less relevant and interesting to me. 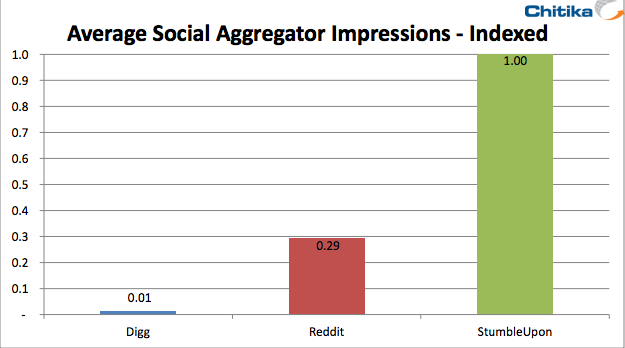 That’s a distinct disadvantage against a site like Reddit, which relies on a “karma” system, with points distributed amongst users based on their link and comment-submission history. It’s what makes some users stand out among others, and what keeps many coming back to the site regularly. Will Digg’s new approach find legs over time? There’s no telling, but in a time where Facebook, Twitter and Reddit are far into their maturity, the new Digg sure has its work cut out for it.